Strategic PR Group is a public relations business that lives up to its name. It's among the Asian continent's biggest public relations platforms. It has offices in major metropolises all over vast Asia as well. They're in Guangzhou, Hong Kong, Beijing, Taiwan and Shanghai. They're even in both Malaysia and Singapore. 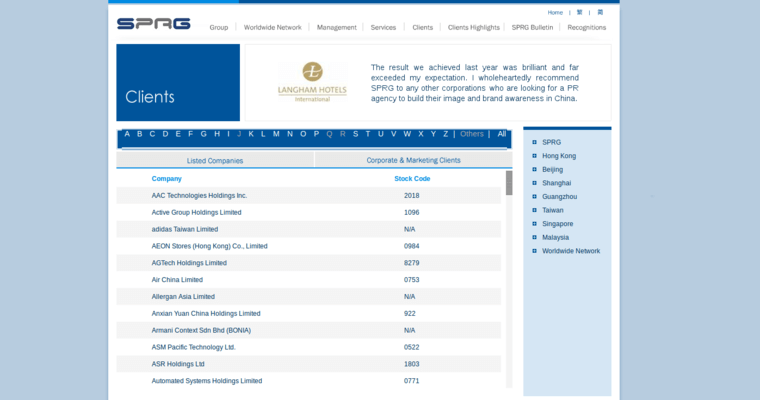 People who are in China frequently hear about Strategic PR Group and all of its actions. People who are in other areas of Asia frequently hear about the company, too. The digital marketing wizards who work for Strategic PR Group have a lot of technology-related proficiency. They have a lot of savvy that involves topics like digital media communications, corporate marketing communications and finance communications as well. The capable publicists who are on the Strategic PR Group crew are all highly seasoned. They've assisted clients with campaigns of all varieties. They've worked with all kinds of technology firms, too.